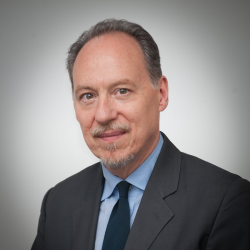 Andrew Tatarsky, Ph.D., is a leader in the field of harm reduction psychotherapy. The founder and director of The Center for Optimal Living in New York City, where treatment and professional training is based on Integrative Harm Reduction Therapy (IHRP). He has specialized in the field of substance use treatment for 35 years working as a counselor, psychologist, program director, trainer, advocate and author. He has devoted his career to developing a comprehensive understanding of the broad spectrum of substance use problems and an integrative harm reduction psychotherapy approach to treating this spectrum. Jen Talley, Ph.D. is a psychologist who specializes in the treatment of trauma and co-occurring substance misuse. She is the Assistant Director of The Center for Optimal Living. Working from an integrative harm reduction framework, Dr. Talley’s approach is interactive and focuses on the development of practical skills to manage intense emotions, reduce self-judgment, and promote self-compassion. Mindfulness skills are integrated into an active exploration of the interrelationship between thoughts, feelings, physical sensations, and behaviors, along with their contribution to substance misuse and relationship issues. Dr. Elizabeth Nielson is a psychologist with a holistic, compassionate, and integrative approach to psychotherapy. She specializes in treating addictive and mood disorders with a blend of of mindfulness-based interventions, dialectical behavior therapy, psychodynamic therapy, community reinforcement and family training (CRAFT), and principles of psychedelic-assisted therapy. Dr. Nielson’s work is guided by the idea that each individual has within them the capacity for growth and change, and sets out to support the natural healing process by building awareness, autonomy, and self-compassion. Dr. Nielson is part of the Experimental Therapeutics Research Laboratory at NYU Langone School of Medicine where she is a therapist on the psilocybin-assisted treatment for alcohol dependence trial and on the MDMA-assisted psychotherapy for PTSD clinical trials. Email Elizabeth: enielson@cfol.org Phone: 212-213-8905 x107. Kevin Braga, LCSW, is a harm reduction psychotherapist and clinical social worker with extensive knowledge and background in working with substance misuse and co-occurring mental health disorders. Kevin has completed additional training in Psychedelic Integration Psychotherapy and works under the direct consultation of Ingmar Gorman PhD and Elizabeth Nielson, PhD in The Psychedelic Education and Continuing Care Program (PECCP). Kevin works collaboratively and compassionately with clients interested in psychedelic integration psychotherapy. Kevin’s clinical interests lie at the intersections of sexuality, gender, identity and psychedelics. Email Kevin: kbraga@cfol.org, Phone: 212-213-8905 x 118. The Psychedelic Program is part of the Center for Optimal Living.